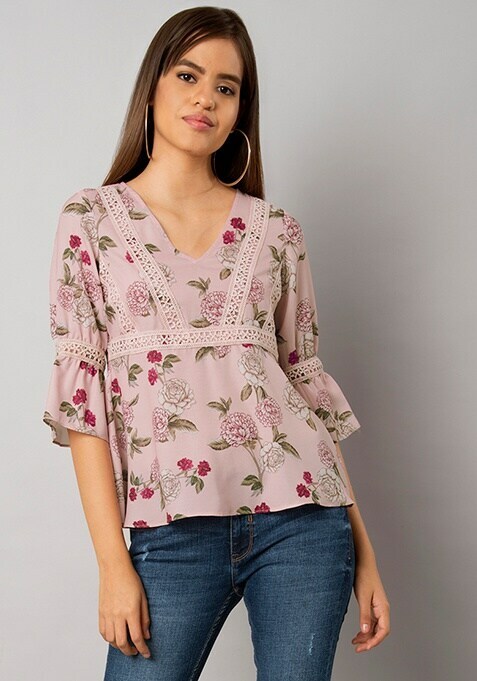 A perfect blend of subtle color and feminine floral print, this pink top is worthy of every wardrobe. Features crochet details and bell sleeves. Work it: This top can be paired with both trousers and jeans for a perfect casual look.